Welcome again fans of Greyhawk! This week I am promoting a new venue of Greyhawk entertainment on Twitch called Return to Greyhawk. This is a live D&D 5E campaign and I'm jazzed about this particular channel given the rise in popularity of streaming D&D tabletop groups, mainly because Return is the first I'm aware of actively presenting themselves as a Greyhawk game. I watched most of their first session last night and it was everything you'd expect in a tense, hard fought D&D adventure (no spoilers), but I went back and re-watched their opening video to episode one and it's AMAZING! Please watch this if nothing else, it's a lovingly crafted intro to a new campaign; you won't be disappointed in the overview it gives to the World of Greyhawk setting. After the first session, the cast gave away a prize to one lucky viewer, a copy of the classic module Mordenkainen's Fantastic Adventure. Sadly I didn't win this prize (already own it) but I will be back for more. For those wishing to join me, expect the party to be back in action, live on Sundays 7pm to 11pm (est). Carry on, Greyhawk! I'm not sure what a bloodhunter is (some kind of ranger subclass?) but I find it interesting that all the characters sound reasonable. Nobody picked a ridiculous race/class combo like Orcish Bard or Gnomish Barbarian which seems to be par for the course for this kind of thing. I'm glad you asked cause I intentionally didn't put that in the write up. From what I gather its a homebrew class. Based on what? I'll find out next week lol. Twitch have now deleted Episode one (you will get a snarky comment about owning a time machine if you try to watch it). 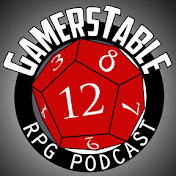 However Return to Greyhawk have Episode 1 up on YouTube.